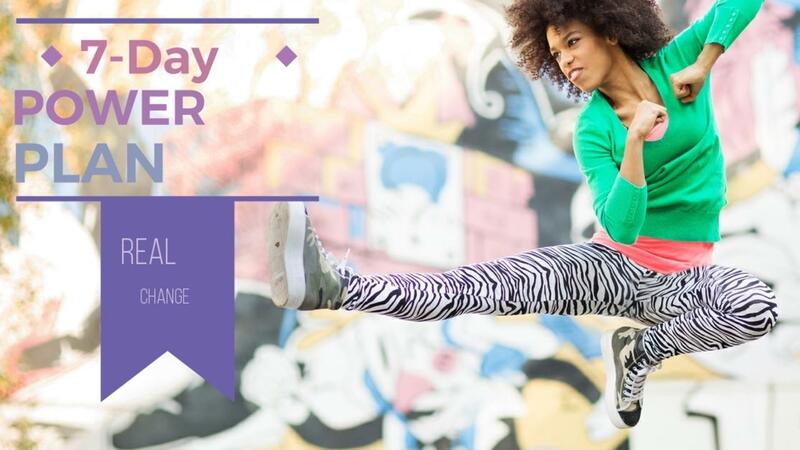 The "7-Day Power Plan: Setting the Stage for Change" will take you though a process of sweeping out the old beliefs and habits that hold you back. This is an incredibly important first step in order to clear space to create a new YOU! This course gives you all the tools you need to move forward successfully with diet and lifestyle change...in just 7 days. Before jumping into your next diet or weight loss program, why not set yourself up for success? You will do this by getting clear about your values, belief systems, fears, and relationship with food to overcome self-sabotage. Most diets "don't work" because we tend to jump right in before we're ready. We use willpower to force behavior change, which sets us up for failure. Changing habits is a tough thing to do on your own. When we live in alignment with our core values, life becomes an amazing adventure! 7-Day Power Plan: Setting the Stage for Change is all about creating the prefect internal environment to make positive diet and lifestyle changes. Many of the principals can also be applied to improving any area of your life you desire. Why not make a small invest that has the potential for a massive personal benefit? It could be your time to stop waiting and hoping things will "just get better." Why not take 7 days to do some "inner work" first? You deserve to experience the real and lasting change you're seeking. We know what it's like to wade through all the conflicting messages "out there." As a certified health & wellness coach, I understand how hard it is to make changes truly last. Belief systems control everything in our life. Our habits of thinking and behaving create neural pathways that are like highways in our brain to make sure we act like "us." Anything that pulls us away from this (including introducing new beliefs about ourselves) are initially met with a feelings of anxiety. We want this feeling to go away because it's uncomfortable. We want to feel like ourself. In fact, there is a part of our brain called the reticular activating system that makes sure we act like "us." It does this by "filtering out" any information that is inconsistent with who we believe ourselves to be. It creates blind spots that prevent us from making change. The good news is we CAN make changes to alter the way we see ourself and create a new self-image and self-concept more in alignment with the person we want to become. This course will give you those tools. What will I experience in this course? You will have unlimited access to all courses which include videos, audio meditations, self-exploration exercises to help you clear mental clutter and clarify values on paper. You will get in touch with your fears and those beliefs that hold you back. Your 7-Day journey will lead through a process of reflection to release mental blocks, and introduce you to a new sense of freedom in your life. By getting in touch with your inner self you will be able to change the way you see the world, and allow you to make real and lasting changes from the inside out. You'll have total flexibility and a personal log-in to "your site" where you can see progress and easily navigate the lessons. Each lesson has a Comments section at the bottom, so you can share your experiences, frustrations, and triumphs. By now you're probably wondering about a few other things. You might be wondering: Will this work for my situation? Is this going to be too hard? Will I have time for this? How do I know I can trust this person? What if I'm not happy with the course? Will this work for my situation? I have studied human behavior for 25 years, and learned some very universal truths about how we function as human beings. I have incorporated tools for change and increasing effectiveness and performance in any area of your life. Although we all have different realities, our brains are designed to operate very much in the same way. That's why these universal truths such as, "We become what we think about" hold true for all of us. What we hold in our hearts and minds are as individual as the grains of sand on a beach. We are all human beings, and therefore desire similar things such as love, acceptance, community, family, friendship, and hope. We all have a fundamental desire to fulfill our highest potential. This course provides a flexible and user-friendly platform for you to create and truly live the highest vision of yourself! Is this going to be too hard? The course is designed to be comprehensive, yet manageable and approachable. The videos set the stage for each lesson, and the material will require some inner work that many find refreshing! The short meditations are a wonderful way to take a break from a hectic schedule and give yourself the gift of recharging your internal battery by breathing deep and calming your mind. It's something we all deserve but rarely do for ourselves! The course design is clean and easy to navigate. You don't have to worry about being "tech savvy," or having any special computer skills. Navigating the site and finding your way around are simple and intuitive. It's just point and click! The lessons are designed for busy people. You can start and pause any lesson at any time. They will be waiting for you. There are 7 lessons which can be done in 7 days, or spread out as you choose. How do I know I can trust this person? Please take time to read through the testimonials. You can also get to know us through our bios on our website (About) and through our Facebook page. We are real people with a passion for helping others. The videos will give you an opportunity to get to know us a little bit as well. Please read Scott's personal transformation story below. What if I'm not happy with the course? No worries. 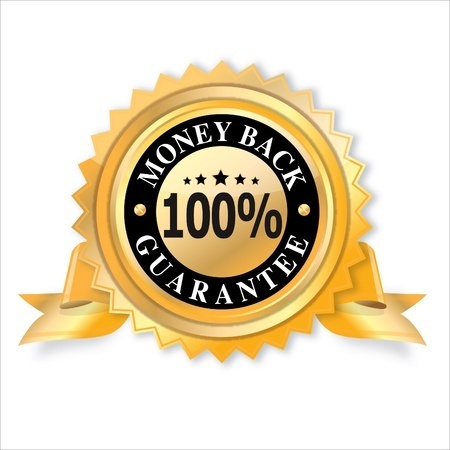 We have a 30-day 100% money back guarantee. If you feel the course was not worth the price of admission, we'll send you a full refund. You have the option of telling us why, but it's not required. We work hard to make our courses the best we possibly can, and if we are missing the mark somewhere we like to know about it. We encourage you to complete the course to gain the full benefit of the information and exercises. We don't want you to feel rushed, so we give you 30 days from time of purchase to decide. "This course helped me to open up possibilities I would have never been able to find alone." - Jenny D., Washington DC. We know the pain and frustration of trying to lose weight and live a more active life first hand. We are passionate about results and know how important it is to be prepared to make real and lasting change. If you feel like you may be ready to take the first small step toward creating an environment for your best life possible, please join us now. You'll be glad you did. We are teachers, authors, speakers, and plant-based nutrition experts. We work with people all over the world to educate, inspire, and guide them through the process of change. Beth is a university professor and entrepreneur. She has 20+ years in business. Scott is a pilot and a certified health & wellness coach. He holds a master's degree, and a certification in plant-based nutrition. Scott and Beth share their passion, knowledge, and skills for motivating and guiding others to reach new heights. I believe my fascination with what makes people "tick" led to this place in my life. As a kid I wondered why some people seemed very happy and successful while others did not. As an extremely shy kid, I didn't want to draw any attention to myself because it just felt too scary, but I was intrigued by others who could. As I grew up and began consuming every book and audio program on successful living, I gained information and tools that helped me work through my own fears and mental blocks. I learned about how the brain works to support our value and belief systems, and the power we hold in creating our reality. Once I tapped into this power and worked through the process of change by clarifying my own values and beliefs, things began to shift. I created a successful business career but ignored my reckless eating habits. It was about this time when I received a wake-up call from my doctor who informed me that not only was my blood pressure and cholesterol elevated, I was OBESE. What? I was stunned, but certainly not ready to change my blissful eating or begin any kind of exercise regimen such as running, which I absolutely hated. My "pain" did not outweigh my "want" at that point. While teaching in China, we received a call that Beth's father was sick, and needed help. Upon returning to the US, it was discovered that he had stage 4 lung cancer and passed away four weeks later. He was the sole caretaker of her mother who suffers from Alzheimer's disease. We packed up the family and moved from China to their home to take care of her mother. As I relived the loss of my own father to lung cancer, we both got very serious about preventing disease. Absorbing every documentary, book, article, and lecture we possibly could, and after wading through the muddy waters of conflicting information, we aligned ourselves with the true pioneers in the field of nutrition. We learned the power of food to heal the body and decided to make the "dramatic" shift to a whole food, plant-based diet as a family. I tried several "diets" before, none of which were sustainable because I was not truly ready for change. Setting the foundation for change led to a new and fundamental shift in my relationship with food. I worked through the process outlined in this course to make the change in diet and lifestyle truly sustainable. Through this process, I lost 65 pounds and began an easy running program, which expanded. I just completed my first marathon, which still amazes me as a "flat-footed" non-runner! It was then I decided to create a course to help others navigate change. Making this work not only takes courage, support, and a strong commitment, it requires the dedication to do the necessary inner work to pave the way. Doing this work is one way to honor your spirit and confirms to the universe that YOU ARE WORTH IT! In this course, you will gain the tools necessary to establish a solid foundation for change by overcoming fears, clarifying belief systems, and ending self-sabotage once and for all!